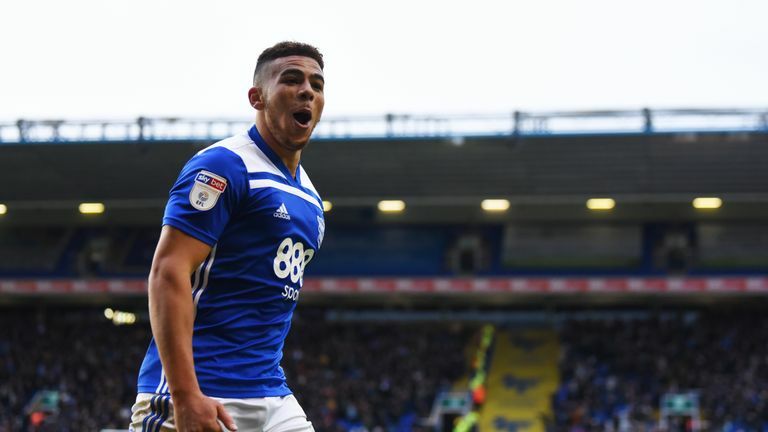 Burnley's fourth bid in excess of £12m for Che Adams has been turned down by Birmingham City, Sky Sports News understands. Birmingham have told Burnley that under the terms of their EFL transfer embargo, they are not allowed to sell Adams and then loan him back and so they are not interested in doing a deal. Burnley, who have already brought in Peter Crouch on Deadline Day, were exploring that possibility as a compromise so that Adams could be bought this month and remain at St Andrews for the remainder of this season. But the EFL sanction imposed on Birmingham means they are only allowed to register five new players this season, which they have already done. To sell Adams and loan him back would count as a further new registration, and put the Blues in breach of the EFL rules. Birmingham have maintained throughout this process that Adams is not for sale. Southampton were also interested in Adams but are understood to have found no movement in negotiations. Adams, 22, joined from Sheffield United for £2m in August 2016 and had scored 14 goals in 30 games for Birmingham this season, who are 13th in the Sky Bet Championship. Sky Sports News understands Sheffield United have a 20 per cent sell-on clause for Adams.